FAIR’N GREEN is the seal of sustainable viticulture. It helps winegrowers to objectively measure and verify sustainability goals (e.g. reduction of CO2 emissions, higher biodiversity, social commitment) and to achieve them collectively. Consumers recognize the sustainable wines by the label on the bottle and can thus choose a sustainable product. Winemakers have been working in a unique cultural landscape for centuries. Viticulture is in a symbiotic relationship with nature. This achievement is to be appreciated and included in the evaluation. All wineries that meet the requirements and guidelines of FAIR and GREEN e.V. can become certified. The standard in general can be applied to small and medium sized wineries in main occupation and larger wineries which can exert influence on grape cultivation and harvest. Wines or grapes from unknown sources cannot be certified. The companies undergo a certification process and after successful auditing are entitled to use the FAIR’N GREEN seal and benefit from sustainable production throughout the winery. Are you a wine merchant and need more information about the FAIR’N GREEN certification? Please contact us so that we can provide you with material for your customers. To strengthen the brand’s visibility in the retail sector, FAIR’N GREEN, for example, is a cooperation partner of Euvino Pro. FAIR and GREEN e.V. works with independent experts who review the audit report and audit documentation of each winery. The reviewers send their findings to the board of the association and the association then awards the certification certificate. After a company joins FAIR and GREEN e.V., Athenga GmbH analyzes the sustainability of the winery using the FAIR’N GREEN criteria catalog. After the consultation and the initiation of the first measures, the report will be examined by an independent institute (GUTCert GmbH). 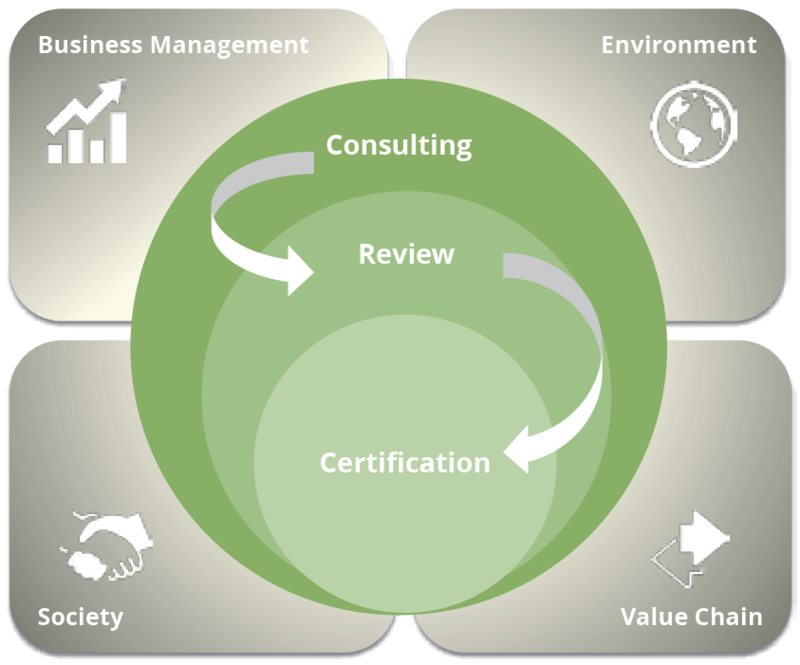 Also, look at the exact process of certification. GUTCert GmbH is involved as an independent partner in the certification process and enables a neutral control of the certified companies. 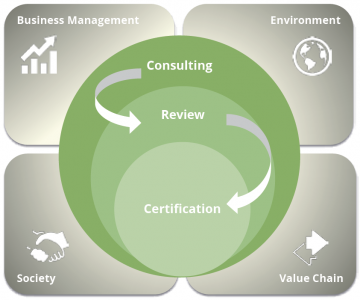 As a member of the AFNOR Group, GUTCert is part of the international network of experts in the field of environmental and sustainability auditing. It also trains auditors and provides expertise on relevant standards and standards through its own academy. In Short: FAIR’N GREEN is the system for sustainable viticulture which helps winegrowers to develop towards holistic sustainability. Based on 150 criteria, a comprehensive consultation and annual binding improvement goals, wineries are supported in producing sustainable wine.